An ‘Inspector Pratt’ mystery. 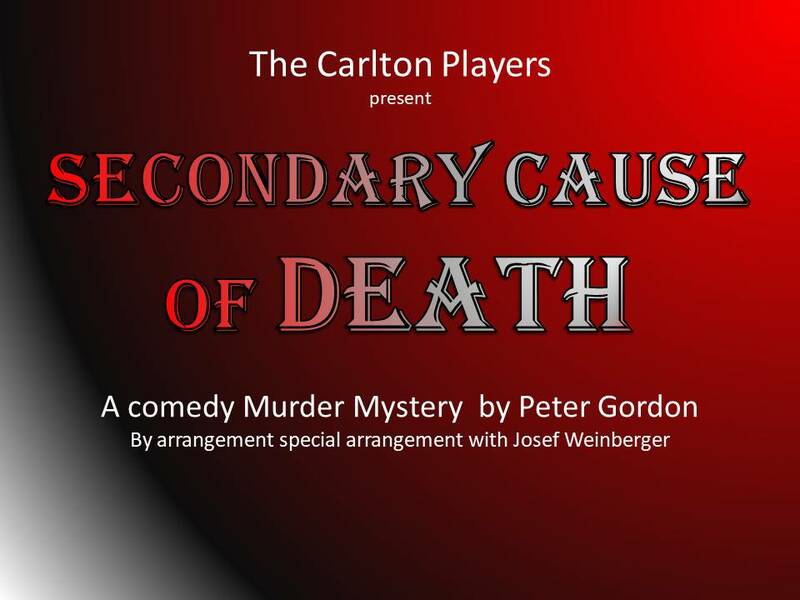 A spoof of the Agatha Christie ‘whodunnit’ genre. Inspector Pratt arrives at Bagshot House with grim news for Colonel Craddock, but that's just the beginning. Who is the strange Polish Count? Is Henrietta really an army Captain? How does the eccentric thespian, Longfellow fit in to the equation? These are just some of the characters who make Pratt's return a chaotic nightmare as the bodies pile higher and higher. Over 200 professional and amateur productions world-wide. Seats are unreserved except subscriber tickets.